Stefan was born in Halle, Germany in 1985 and first discovered acting at the age of eight when he appeared in a school production of Sherlock Holmes. He was raised bilingually and spent his childhood and much of his youth in Dresden, where he became a very successful, competitive swimmer. At age 16, Stefan lived in the United States for a year where he continued to swim and appear in several High School theatre productions. Upon graduation he decided on a career as an actor. After returning to Germany, Stefan completed his Abitur at the Elite Schule des Sports in Dresden and left Germany for Australia in 2006. He completed his acting studies at The Warehouse Workshop Screen Acting Studio, The National Institute of Dramatic Art, and Screenwise School in Sydney, among others. His first works include the TV Series Reef Doctors, the children’s TV series In Your Dreams, as well as Baz Luhrmann's The Great Gatsby. He continued with roles in Angelina Jolie's Unbroken, the short film Beach Bum, the successful web series The Horizon, and voice work on A Place to Call Home. In 2018, Stefan returned to Germany and now lives in Berlin. 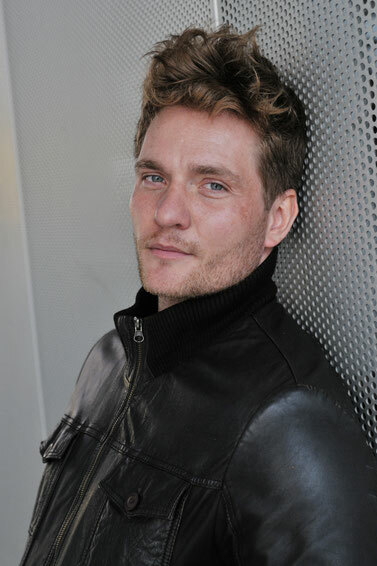 He appeared in the SAT1 series Schicksale, and the short film Eine Von Uns, which was directed by the Grimme award winning director Axel de Roche.